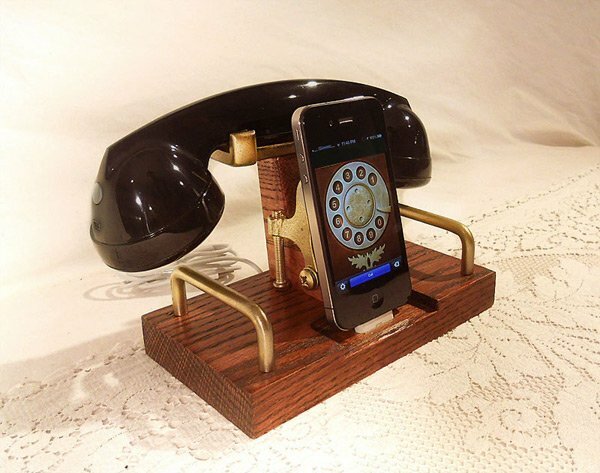 Steampunk iPhone Dock and Handset: The Past is Calling, Will You Accept the Charges? Remember that minimal Bluetooth handset? Well it looks like Woodguy32 has decided to put his own spin on the whole iPhone handset thing, with this steampunk-inspired dock. Except for the handset, most of this thing is made out of oak wood and brass, which is good, and it’s also really nice and retro. 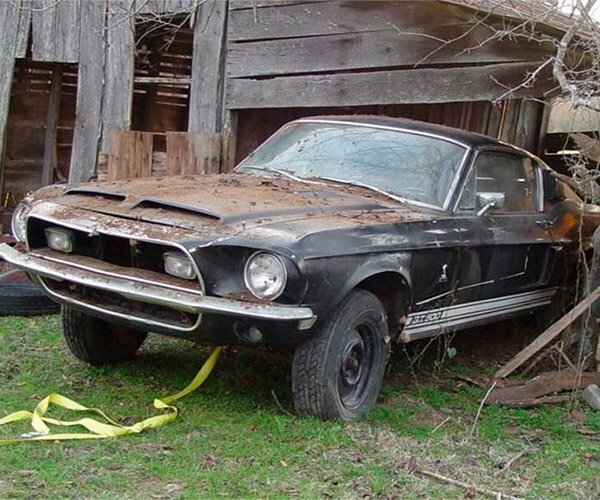 While this one isn’t svelte, it’s got a lot of flair, so you might think it’s pretty nifty. The dock looks like an old fashion rotary phone, which is even cooler. Woodguy32 will custom-make your dock, so if you’ve got any special requirements, he’s got you covered. The handset allows you to take calls from up to 30 feet away. 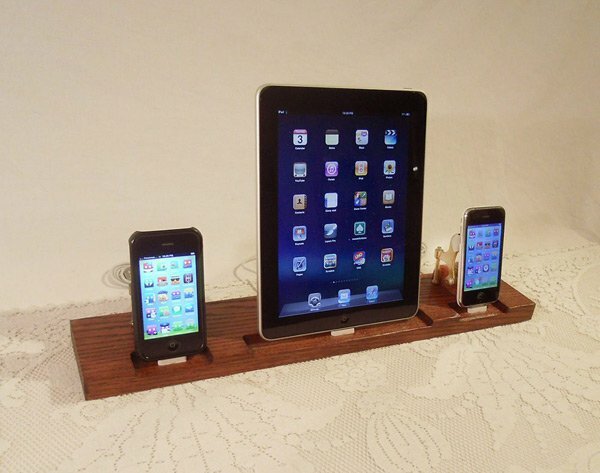 He’s also got a few different iPad, iPod Touch, and iPhone docks available. There’s even a triple unit, that will dock an iPad plus two other devices. 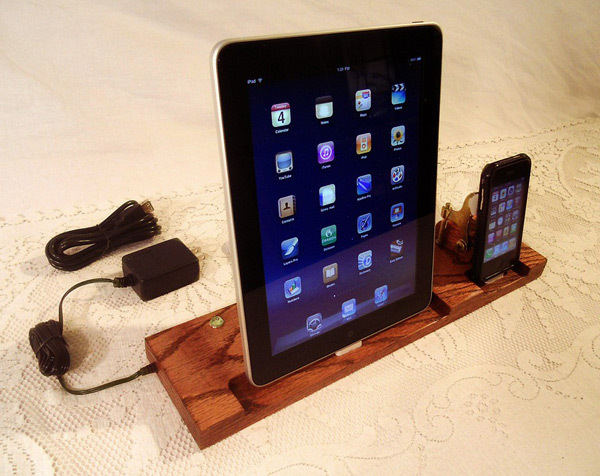 You can get the iPhone dock and handset over at Woodguy32’s Etsy shop for $72 (USD). The dual dock and the triple unit each cost $99. Custom finishes and different woods are also available.